CARiD.com Need to customize or repair your GMC Envoy or Chevy Trailblazer? Check out our selection of parts and accessories at CARiD.com, or give us a call at 800.505.3274 for professional advice. 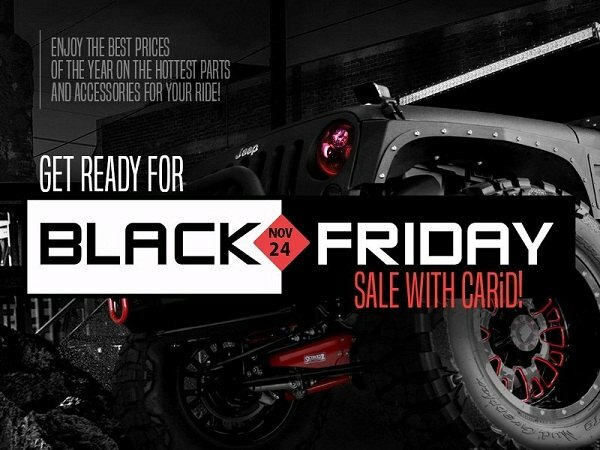 Kick start your 2017 Black Friday shopping season with CARiD. Just like you, we've been seriously preparing for it throughout the year and now we're ready to impress you with the lowest prices on the finest quality custom and universal-fit aftermarket parts and accessories! Offering the widest range of car, truck and SUV related products we are glad to provide you with the discounts on everything from LED light bulbs to performance parts and even off-road bumpers for trucks and 4x4. Black Friday sales have already started, don't miss your chance to save big. We've cut the prices for you!